A Russian government agency on Monday ordered Internet providers block access to a page on the Russian-language version of Wikipedia for containing banned information on a type of cannabis. "Actions taken by the administrators of the Russian segment of the Internet encyclopaedia to move the article in question to a new URL did not restrict access to the information declared illegal by courts", Roskomnadzor, the government agency, said in a statement on its website. "Roskomnadzor has ordered that service providers block the page index on the Russian-language Wikipedia site that contains banned information about a narcotic substance." 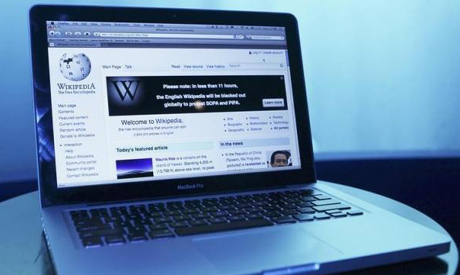 Wikipedia's Russian-language site was still available to Russian users as of 1800 GMT on Monday. The site's developers posted a black banner at the top of the webpage on Monday evening saying the website could be blocked "in the near future".